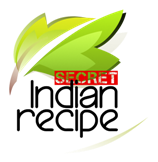 SecretIndiaRecipe is a social platform where you can publish & share your secret recipes.You can learn a trick or refine your own recipes by checking out, recipes from our star contributors. You can even become our star contributor* ! Our primary audience is food lovers from across the globe who are particularly interested in Indian regional home cooking. How is SecretIndianRecipe different from other recipe site/blog? SecretIndianRecipe is unique , because of our focus on regional home cooking. We have always believed that real Indian cuisine is hidden in a Kitchen near you. Personally we have found better and unique recipes from Individual food blogs than some of the popular recipe sites by professional Chefs. I am an experienced blogger, do I need SecretIndianRecipe? You may not need us, but we need you! We want to congratulate you on your initiative to document & share your recipes. Each day we may be loosing (forever) some great Indian food recipes. Many traditional recipes are already lost because of various reasons such as lack of documentation, waning interest in home cooking, etc. Recipes that you upload belongs to you. Please use our attribution field (Credit) to link back to your original blog post. Each recipe uploaded on SecretIndianRecipe is shared on our social networks.You may want to share your recipes with our audience. I love cooking but I do not know how to create my own blog. You can start documenting your recipes now! Register at SecretIndianRecipe & start uploading recipes of food that you are cooking everyday. All our member have a public profile page (similar to Facebook & twitter). The public page lists all your recipes.Other members and guests can like, rate and share your contributed recipes. You can also interact with our members & guests using Facebook comments. If you are interested in having your own blog/site, please send us a message using our Contact Us page. We will teach you how to set up your own site/blog.